Fed To Hike Interest Rate in December? Q : But under those circumstances, assuming that the Fed hikes interest rate by 25 basis points, how much leeway does it have to increase the rate beyond that? 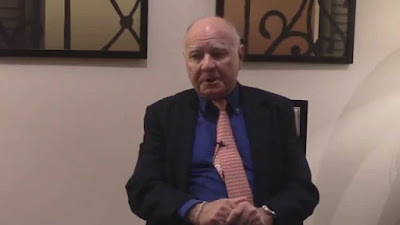 Marc Faber : My view is that the U.S economy has been slowing down over the last 12 months and corporate profits have been coming down, and so it’s not a good time to increase interest rate. On the other hand, the Fed lowered the rate to almost zero in December 2008. So in December 2016, in eight years, at zero interest rates, the economy must be stinking if you can’t increase interest rates during eight years of an expansion so something is wrong. So my view is that they should have already increased it in 2011 and they should increase it now. Your point of view is very interesting, thanks for the explanation of such difficult problem. Follow the link and contact with me, I have something to discuss.